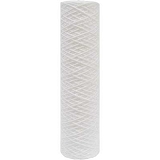 Replacement Filter for Austin Air HealthMate Pet Machine. 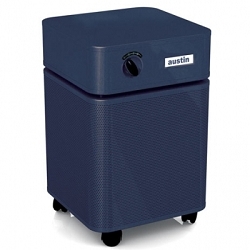 The Austin Air Pet Machine Replacement Filter (FR410) has a true medical HEPA (High Efficiency Particulate Arresting) filter surrounded by a special carbon/zeolite mixture which eliminates particulates and absorbs odors and gases. 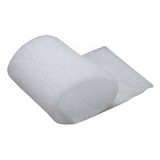 Includes a FREE pre-filter! Select your pre-filter color choice above. 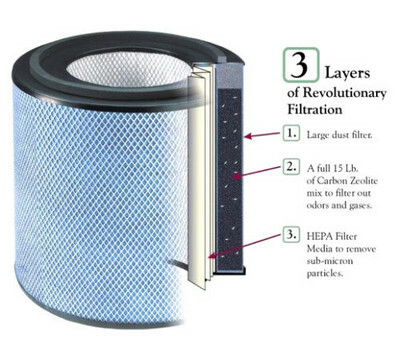 This long lasting replaceable HEPA filter comes with a 5 year pro-rated Guarantee when used under normal residential conditions. It meets all true HEPA standards, trapping 99.97% of all particles larger than .3 microns (1/300th the diameter of a human hair). 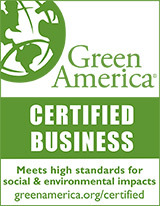 Efficiently removes most allergens including pollen, pet dander, tobacco smoke, mold, and bacteria. 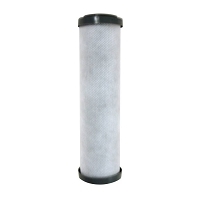 This filter contains over 15 lbs. 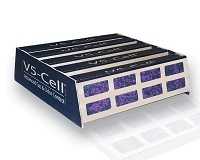 of solid Activated Carbon and Zeolite. It measures 13.5"D x 14.5"H with foam gaskets for a tight seal. Includes an Austin Air Pre-filter. works well about 3 years. replaced 2 or 3 timess.